We are people of Hope. Although it was perhaps a rhetorical question, it did inspire me to think. What four words would I choose? As Taslim mentioned in her blog post, words are powerful, and I fully agree with her in the sense that words do carry the power to affect us in a positive or negative way. Prayer is a source of comfort. It strengthens belief. Belief is a form of acceptance and submission, and it ignites hope. 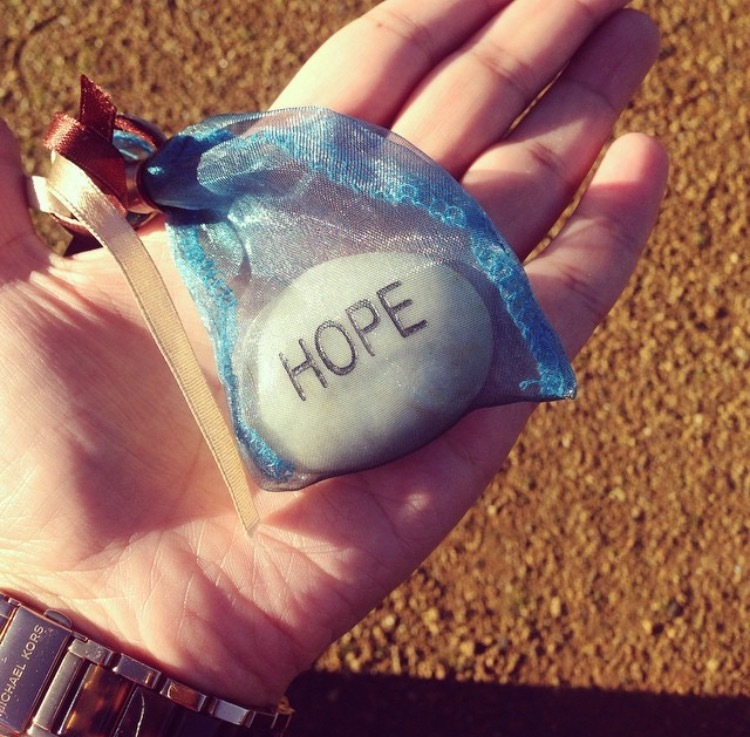 Hope gives us courage and the strength to carry on moving forward. 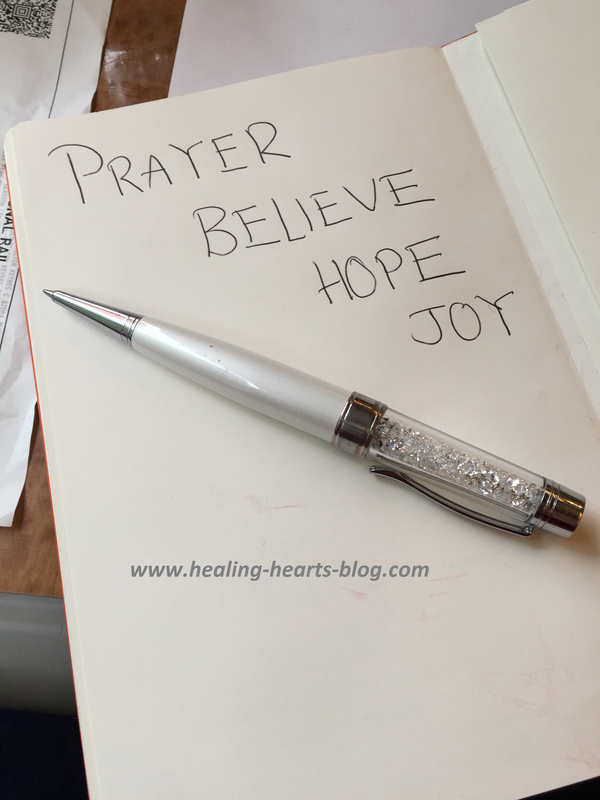 It encourages us to be positive and patient, and look forward to receiving that joy we pray, believe and hope for. Joy is that feeling of pleasure, delight, triumph and gratitude, which leads us back to prayer, thanking our Creator for the blessing, because our belief and hope was in Him all along. We pray to strengthen our belief, which then provides us with hope, and ultimately we are led to joy. As you can see, the four words I chose are interconnected. What four words would you choose? I recently had the honour of interviewing Sidi Abdul Aziz Suraqah, an inspiring translator, editor and educator, currently based in Toronto (Canada), who has translated some of the best available Classical Islamic text out there from Arabic to English. Moreover, he is famously known for his fantastic website and blog: Ibriz Media. Sidra: Please could you share a bit about yourself? Abdul Aziz : My name is Abdul Aziz Suraqah. I was born and raised in Atlanta, Georgia. During the golden age of Hip Hop, when I was 14 years old, I was inspired by groups like Public Enemy and KRS One to read The Autobiography of Malcolm X. That led to an interest in Islam, and so after reading a translation of the Quran I embraced Islam, al-Hamdulillah. A couple of years later I began to study Arabic and soon thereafter pursued further studies in Yemen, Mauritania, and Morocco. I currently teach at Dar al-Ma’rifah and Risalah Foundation here in Toronto, Canada. And since 2007 I’ve been translating Islamic texts full time. The name of my service is Ibriz Media. 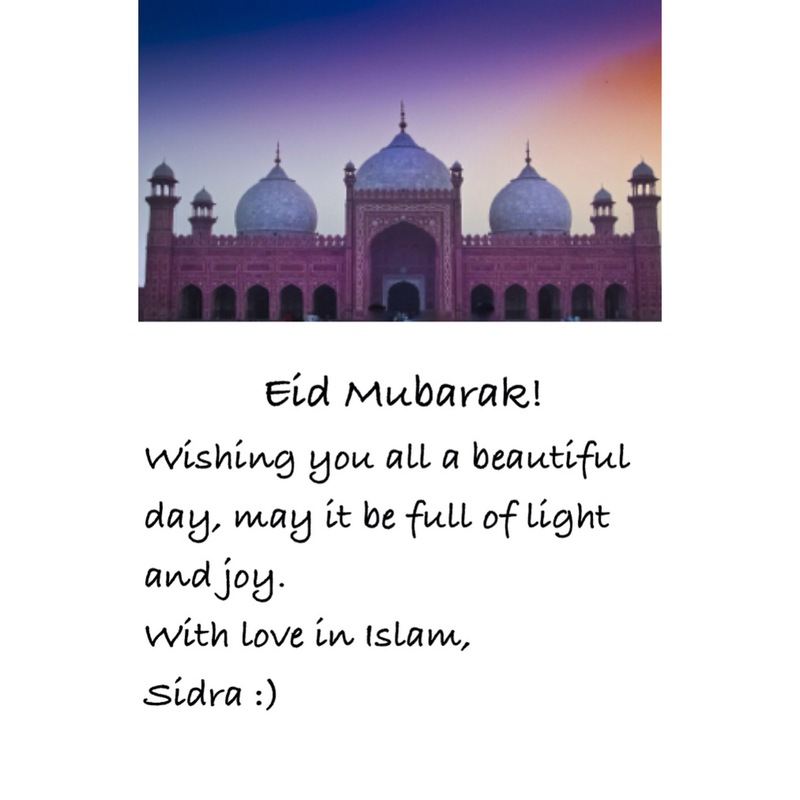 Sidra: What inspired you to become a translator? Abdul Aziz : It all came about quite accidentally I must admit. Upon returning the US and becoming a teacher at a private Islamic school, I found myself translating things here and there to go along with the class material for the students. There were also certain smaller texts that at the time seemed worthwhile to translate, so in 2002 or so I began working on them (some of them were completed and others were shelved—which is for the best, as the first attempts were all cringe worthy :)). There’s this expectation among many people that a returning “student of knowledge” will be, or should be, in the community delivering talks, lectures, engaging with the people, etc. That’s perhaps true for many who return to the west after studying Islamic sciences overseas, but as an introvert that’s terrifying. And besides, I never really considered myself a “student of knowledge” so to speak. 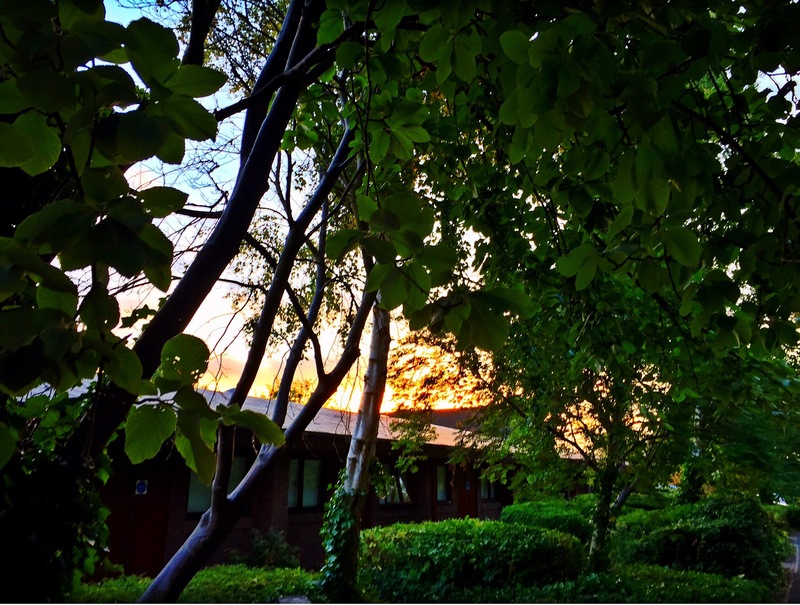 The question for me early on after returning from my formal studies was: how do I take my passion for the Islamic sciences and contribute and serve in a way that best fits my introverted nature? Teaching small groups of teenagers and young adults has been very fulfilling, but the answer to that question didn’t become clear till 2006 or so, when I was blessed with the opportunity to translate selections from various classical and contemporary works that deal with Islamic spirituality, theology, etc. Those samples were put up on www.marifah.net and are still available today. 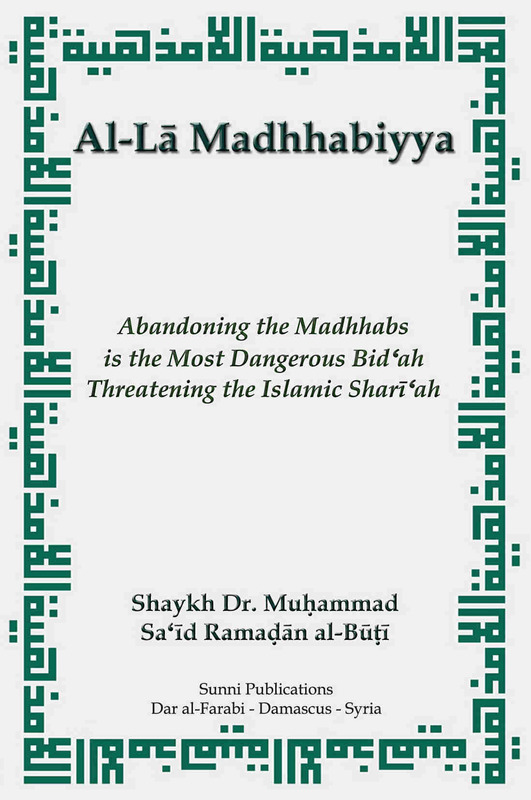 A year or so after working with www.marifah.net, the brother running the site, Sidi Hamoudeh, founded Sunni Publications and asked me to co-translate and edit Shaykh Ramadan al-Bouti’s Al-La Madhhabiyya:Abandoning the Madhhabs. After that he asked me translate full-time for Sunni Publications, and so I began working daily—sometimes up to 12 hours a day—on Shaykh Muhammad ‘Alawi al-Maliki’sNotions That Must Be Corrected. After a while I had found a flow and continued working non-stop, five days a week, from home (wearing regular clothes, not pajamas :)). Al-Hamdulillah, it really is a great blessing to translate traditional Islamic texts—to wake up in the morning and spend hours alone with the words of the Prophet (Allah bless him and give him peace), the Companions (Allah be pleased with them), and the saints and savants of this Umma, and hopefully convey some of those meanings for the benefit of others. Sidra: Please could you tell us about some of the books you have translated? Abdul Aziz : They are exclusively in the field of Islamic studies, particularly books on Islamic spirituality, theology, and prophetology. Most of the titles I’ve been blessed to work are found on my portfolio page at Ibriz Media. Sidra: What books have most influenced your life most? Abdul Aziz : With regard to books on Islamic subjects, I’d start with The Autobiography of Malcolm X, as that was my first exposure to Islam and what led me to become a Muslim. 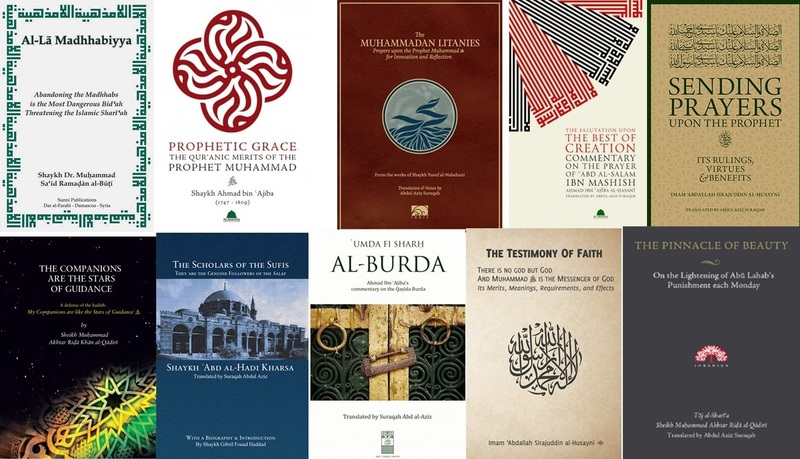 After that, the most influential books for me were Imam al-Ghazali’s al-Munqidh min al-dalal (Deliverance from Error), Ibn ‘Ata’illah’s al-Tanwir fi isqat al-tadbir(Illumination in Dropping Self-direction), Shaykh Ahmad b. Mubarak al-Lamati’s al-Ibriz (Pure Gold from the Words of My Master ‘Abd al-‘Aziz al-Dabbagh), Shaykh Muhammad al-Qandusi’s Sharab Ahl al-Safa (The Drink of the People of Purity), Shaykh Yusuf al-Nabahani’s Jawahir al-bihar, Emir ‘Abd al-Qadir’s al-Mawaqif, Gai Eaton’s King of the Castle, and virtually everything written by my two favorite authors, Imam ‘Abd al-Wahhab al-Sha’rani (his al-‘Uhud al-Muhammadiyya is my favorite) and Sidi Ahmad Ibn ‘Ajiba. As for books that are not explicitly Islamic, some of the most influential for me have been Trungpa’s Cutting Through Spiritual Materialism, Rene Guenon’s Crisis of the Modern World and The Reign of Quantity, Weston A Price’s Nutrition and Physical Degeneration, Paul Chek’s How to Eat, Move, and Be Healthy, Robert Greene’s Mastery, and Charles Moss’ Power of the Five Elements. Sidra: What are your current projects? Abdul Aziz : Right now I’m working on Sidi Ahmad Ibn ‘Ajiba’s tafsir of Sura Maryam, Shaykh Salih al-Din al-Tijani’s collection of spiritual discourses and aphorisms called al-Tanazzulat al-Ilahiyya (Divine Inspirations), and Shaykh ‘Abd al-Ghani al-Nabulsi’s Takmil al-nu’ut fi luzum al-buyut, whose title will probably by paraphrased in English as The Virtues of Isolation in Times Tribulation, or The Virtues of Seclusion in Times of Confusion—it’s a small work on the virtues of keeping to one’s self in times of fitna. Besides these three books, there are a number of other projects going on, either in their beginning stages or final editorial stages, so an average day for me consists of translating new material for two, sometimes three books, editing finished works, and researching. Sidra: Is there anything you find particularly challenging in your writing? Abdul Aziz : The most challenging thing in translating Islamic literature, for me at least, is maintaining a good intention and upholding adab in the entire process from beginning to end. It’s not always easy to translate these incredibly profound spiritual or theological works day in and day out—it’s hard to be “on” and in the moment with the texts every single day. When I experience constriction (qabd) or a mental block or setback, I’ll work on less intensive projects or even pull back for a day or two and double up when my energy returns. For example, one of the translations recently published, Sidi Ahmad Ibn ‘Ajiba’s explanation of the meanings of the Ninety-nine Divine Names, was simply too overwhelming to translate all at once. The sheer majesty (jalal) of the meaning of the Divine Names became very difficult to bear and I had to limit how much of it I worked on each day. Translation of Islamic texts on spirituality are particularly difficult since they shine a light into the darkest corners of the soul and show you how far you are from what they describe. Sidra: What are the most rewarding elements of translating a book? 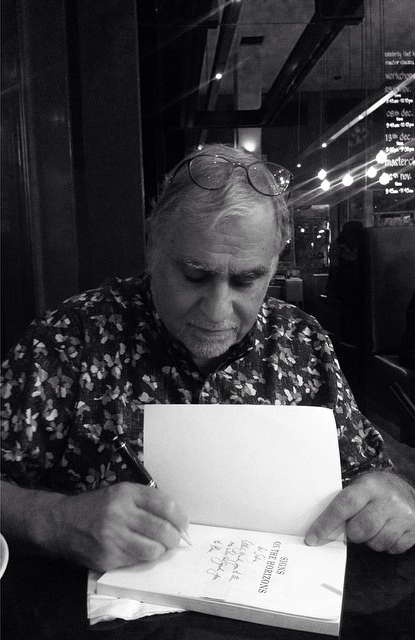 Abdul Aziz : By far the most rewarding element of translating is when the book brings you into a spiritual state where you are so engrossed in the content that you lose sight of the ink, the pages, the daily word count, and you feel as if you are in the presence of the author, or better yet spiritually uplifted by his or her words. The best example of this for me was when translating Shaykh Muhammad al-Qandusi’s The Drink of the People of Purity. My family and I were packing our things and moving to a new apartment when it was being translated, but I still put in 12 hours for many days working on it—but it never felt like more than 4 hours. Opening The Drink and translating it entered me into a spiritual time warp of sorts, and the content of the book was so uplifting I wished it never ended. I fell asleep reading The Drink of The People of Purity. As soon as I fell asleep, I found myself at Bab al-Futuh [a large cemetery in Fez, Morocco in which lie thousands of saints and scholars] in front of the Maqam of Sayyidna Abdul Aziz al-Dabbagh. At the Maqam, I found an old man sitting with his back resting on the outer left wall of the Maqam. I walked to the man and asked him to make du’a for my affairs. He raised his head and said, “What more is there to give you after my book?” I was puzzled and then I asked him, “Are you Shaykh Muhammad al-Qandusi?” The man replied with a very intense stare, “I am him but he is not I. He knows where I am.” I lowered my gaze and begged for du’a. He said, “Do not wait to drink until you are overcome with thirst. Drink! And always stay hydrated.” He then said “If you don’t know what I mean then ask my Translator.” After he said this, His Jalal [majesty] immediately turned into Jamal [beauty] with a radiant smile. I kissed his forehead and woke up. Sidra: Can you give us some examples of a word or phrase that just doesn’t translate well? Abdul Aziz : Let’s see. Taqwa comes up a lot and there doesn’t seem to be good translation of it that is accurate and a single word. You’ll see renderings such as Godfearingness (my preferred choice when it is not used in a different context), mindfulness (a nice sounding translation but still a bit opaque), God-consciousness, and even fear. 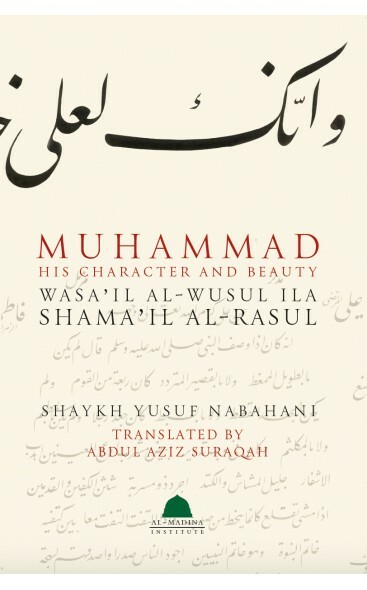 When translating Shaykh Yusuf al-Nabahani’s Wasa’il al-wusul (Muhammad: His Character and Beauty) I had to wrestle with an oft-used word pair, mudarat and mudahana. Mudarat is defined as “the sacrifice of a worldly interest in order to attain either a worldly or a religious benefit, or both together,” so after much mental wrangling I settled on the word sociability. The other word, mudahana, literally means lubricity (yeah, that’s a word). 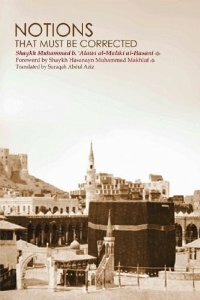 It is defined as “the sacrifice of one’s religion for the sake of attaining a worldly benefit.” (Bajuri) The late translator Muhtar Holland (Allah have mercy upon him) translated it is “fawning flattery.” That’s a sound translation, but after consultation with some teachers I decided to translate it as sycophancy. In Arabic there are many phrases that are hard to turn around into English. Sometimes the original flow is lost in order to preserve the structure of the target language; but over the years translators develop a repertoire of maneuvers and turns of phrase that get them out of tight spots. Sidra: Which book past or present, do you imagine was the most difficult to translate? Abdul Aziz : No need to imagine that one! 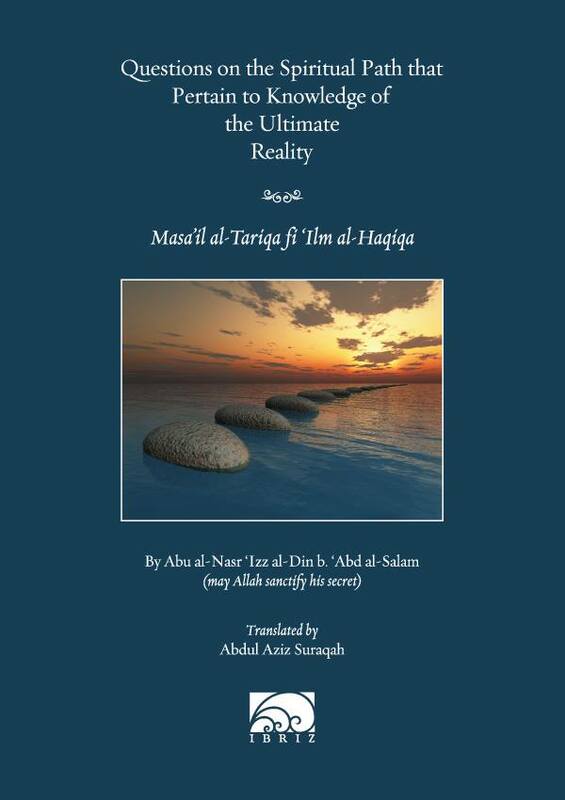 The most difficult translation by far was Shaykh Sa’id Foudah’s A Refined Explanation on the Sanusi Creed. That project cost me blood, sweat, and tears (the latter two literally!) It’s an int ermediate text in classical Sunni-Ash’ari theology detailing the textual and rational proofs for the tenets of faith. What made the project so challenging was the footnotes, as Shaykh Sa’id was quoting from earlier theologians who are known to use a very tightly packed style of speech where detailed meanings are crammed into terse phrases. It’s no exaggeration to say that unpacking those into clear English was at times terrifying. This is theology after all; who wants to mistranslate something about belief in Allah and His Messengers and unknowingly mislead innocent readers? Ya Latif! Sidra: How long does it take you to translate a book roughly? Sidra: What does Ibriz mean and what inspired you to come up with that title for your services? Abdul Aziz: The name was inspired by the work al-Ibriz of Shaykh Ahmad b. Mubarak al-Lamati and the Golden Ratio. The word Ibriz (pronounced like e-breeze) is Arabic for pure gold. Ibriz is also the title to one of my favorite books: al-Ibriz min kalam Sayyidi ‘Abd al-‘Aziz al-Dabbagh (Pure Gold from the Words of My Master ‘Abd al-‘Aziz al-Dabbagh). Sidra: If it were up to you, what would be your dream project? Abdul Aziz : If I were on a mountain top and had all the time and resources I need, there is no question about it, I would do an annotated re-translation of al-Ibriz (the current translation by two Orientalists has several fatal errors), a complete translation of Shaykh Yusuf al-Nabahani’s three volume compendium of Prophetic Love Jawahir al-bihar (Jewels of the Seas), Shaykh Muhammad al-Qandusi’s 300 page magnum opus al-Ta’sis fi masawi al-dunya wa mahawi Iblis (a book about combating the traps of Shaytan through love and attachment to the Prophet (Allah bless him and give him peace)), and a recent five hundred page work that has collected numerous stories of saints and pious people who saw the Prophet (Allah bless him and give him peace) in their dreams and conversed with him. Sidra: Jazak’llahu khayran for your time, and for sharing and inspiring your journey as a translator so far with us! 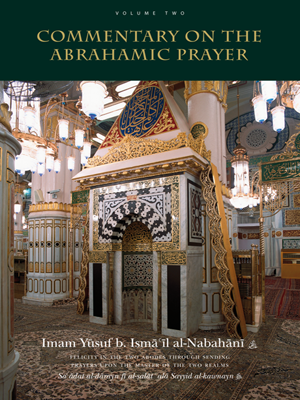 All translated books by Abdul Aziz Suraqah can be purchased from: Knowledge and Wisdom Bookstore in the UK, Firdous Books in Canada, and Mecca Books in the US. However, generally speaking, on many occasions, when this occurs, if one doesn’t manage it well or lacks comportment, the result can turn into a feeling of animosity. Furthermore, when uncontrolled, it can turn into hatred, a spiritual disease that sits at the core of one’s heart, dictating and defining one’s behaviour unbeknown to oneself. When such hatred sets into our way of life, individuals choose to deal with it in a variety of ways. Some try to mask the emotion or seek validation for that hatred; others seek revenge or violent harm with devastating consequences to those they may have loved unconditionally at one time. We also see the modern phenomenon of social media being used to spread this hatred, unfairly sowing the seeds of doubts that stick and label many unfortunate individuals with “justified” gossip becoming an accepted discussion on each of our tables. Such behaviour has unfortunately broken down many marriages, families, friendships, communities, business partners, etc. as this trait continues to become rampant to the point that we no longer discern the goodness and sacrifices that many still work towards in our respective communities, regardless of our opinions. Instead, we tend to sideline them and bad mouth them, thinking we are safe to share statements against people in the confines of our close circles, yet at the same time we do not realise the terrible human beings we are all becoming through the mismanagement of this emotion. One of my teachers once said in one of his lectures, “Do not have a crablike mentality whereby when crabs are put in a bucket together, each one tries to escape by pulling the other one down, just to escape themselves, leading to collective demise.” This is exactly what hatred is doing to the development and growth of our communities in times when our real challenges are elsewhere and which we should all really be focusing our energies on. Unfortunately, we cry out emotional slogans such as “Muslim Unity” without realising that little can be changed without changing oneself. One of the most notable scholars and thinkers of Islam, Shaykh Hamza Yusuf, recently shared a profound insight from the Qur’an that states, “Indeed, God will not change the condition of a people until they change what is in themselves.” He stated that our community is besot by changing the world whilst forgetting the simple hard rule of changing oneself, and that the role of changing the condition of people as a collective is the role of God. So if we all focused on changing ourselves first, ridding ourselves of our hatred for one another and purifying our own hearts, God will take care of the rest. The question arises, how can we move beyond this hatred and begin to remove this infection so that goodness can be achieved in the short time we tread on this earth, with the invaluable gift we have been given of life? Many have their own mechanisms of dealing with this. Recently, whilst on a journey to the States, a dear friend of mine gave me valuable and practical advice on a way to manage such tendencies, by making a conscientious and sincere effort to reach out to individuals you feel you have wronged, or who you feel wronged you, or who seem distant to you. He suggested making a prayer for them to rid your heart of antagonistic presumptions by reaching out to them on a weekly basis, until all that is contained or constricts your heart disappears until you only have mahabba (love) for that person. The Muslim community as a whole is known to be a giving community, especially when it comes to charity and hospitality, and they continue to hold tight to the noble virtues that are fast disappearing in a globalised world. Yet charity as described by our Prophet (peace be upon him) is also through actions and good deeds: hence being altruistic through your generosity, kindness, compassion, and time are equally important. Letting go of the self is important to move away at an individual level, especially in a world where the “self” has become a dictator over our natural inclination of moderation. Many argue over the ownership of ideas and whether certain ideas are relevant and can work. The best advice I was given was to let people learn from their mistakes but to not cause further rift that our communities are regularly torn by. Instead, you must choose the incision point that you feel can best help and support individuals that you perhaps disagree with, as our commonalities are far greater than our differences. For those who feel they do not need help from someone sincerely trying to offer their support or help, remember even if such advice is not appropriate or compatible with your aims, never ignore it. You will always find a time when such advice can be found to be valuable at a different stage of your life or applicable to a different situation. This is what distinguishes people of wisdom, such as Shaykh Abdallah Bin Bayyah, who represents someone that keeps love at the centre of how he lives (may Allah grant him good health and a long life), through his acts of consistency. He epitomises renewal in his scholarship, but, more importantly, through his self-discipline and observance, he embodies renewal in his character. He is someone who knows not of hatred. He is someone who cannot but love and be objective to those who may be fierce critics or who oppose him or his approach. What struck me in my observances of the Shaykh is that despite any animosity shown to him, he always takes the time to listen and offer his help as he would to those who are amongst his family. This is evident in the Shaykh’s writings and rulings that speak with kindness, graciousness, and nobility of the other. I am sure everyone can relate to an individual out there who embodies such prophetic characteristics, and if you can, do not be ashamed to acknowledge your shortfalls before making that effort of change required by those who inspire you. As Ramadan makes its yearly entrance into our homes, lives, and hearts, this is what I will be aiming to strive for, being mindful and realistic that things do not happen over night. I hope others can have mercy with me and forgive me for any wrongdoing. Imam Shafi’i famously said, “Be hard on yourself and easy on others,” noting that our God is a God that is all-merciful and all-forgiving; these are utterances that we grow up on and repeat daily. Zeshan Zafar is the Director of the Forum for Promoting Peace in Muslim Societies and is currently based in Abu Dhabi. 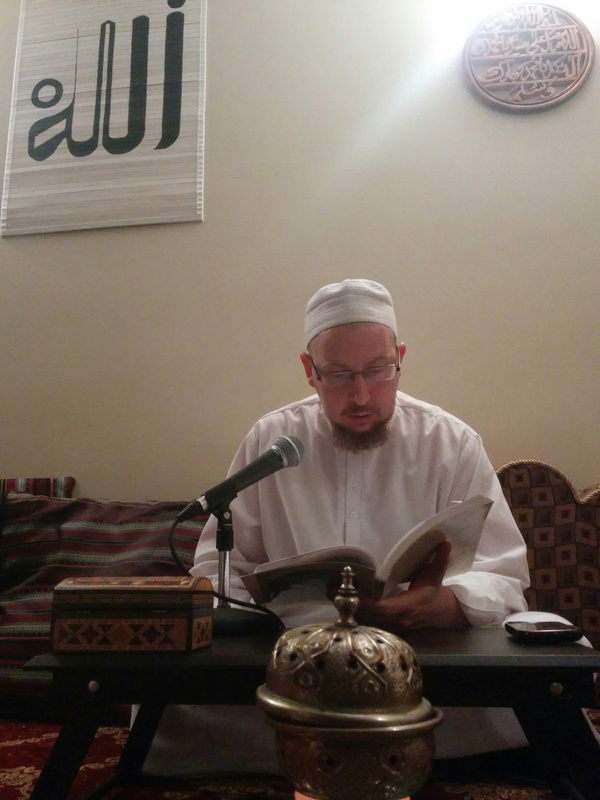 Shaykh Yahya Rhodus gave us tafsir on the verse ‘Ihdinas-siratal Mustaqeem.’ – When you are confused in life and feel challenged by all the worldly negative energy, recite surah Al-Fatiha sincerely. When you reach the verses ‘Ihdinas-siratal mustaqeem‘ (guide us on the straight path), recite it with full yaqeen (trust) in Allah that He will guide you to a clearer path to success. The path may seem confusing at times with the ups and downs of life, but it is your unique path towards Jannah. – There is nothing more relevant than the Qur’an and the Prophetic teachings. You can be relevant as a person, only if you align yourself with the way of the Prophet ﷺ. Make yourself relevant, otherwise you become trapped to the negativity of this world. The word ‘Ihdina’ comes from ‘Hedaya’ (guidance). What does Hedaya mean? It is to give direction gently. There are different types of Hedaya – including Hedaya of the fitrah; Hedaya of the senses; Hedaya of the aqal (intellect); and Hedaya of Deen which consists of the fitrah, the senses and aqal all put together. The Hedaya of Tawfiq is when Allah shows you different ways to reach Him. – Another name for the Quran is Al-Huda, which means the Guidance. – The Sirat on the Day of Qiyamah will take 3000 years to cross, it will be thinner than a hair strand and sharper than a blade. The only thing that will expand the traverse is the Noor (light) we earned in this dunya from all our ibadah – such as the light gained from wudhu; the light from reciting Qur’an; the light from making salah; the light from helping others; the light from doing zikr; the light from giving charity; the light from showing hayah and so on. – If a person has too much light on the Day of Qiyamah, he/she will cross the Sirat quicker than a blink of an eye. 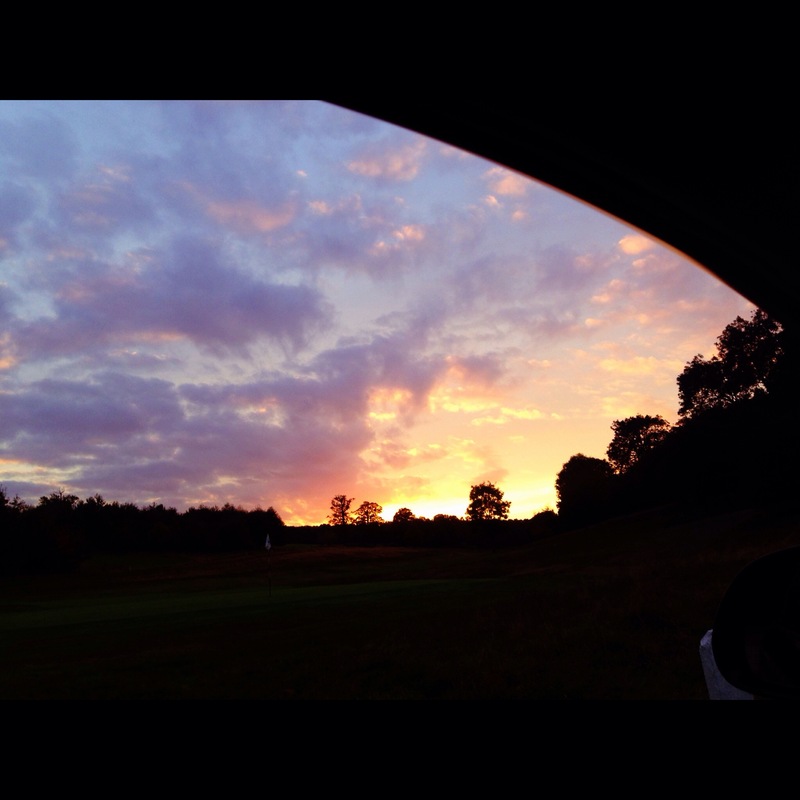 Even the hell-fire will say “hurry up and cross, your light is putting out my flames”, SubhanAllah! We should read the dua for Noor every morning. There is a difference of opinion about what ‘Siratul Mustaqeem’ (the straight path) could be referred to. It may refer to the Qur’an being the straight path; or the path of the actual deen; or the path of the Prophet ﷺ, whom was a living example of the Straight Path (Surah al-Anaam). Towards the end of November 2014, I was sent for a week long work assignment to Dubai. Whilst I was out there, I had a wonderful meeting with Michael Sugich (whose Muslim name is Haroon), author of the beautifully written book: Signs on the Horizons. Sidi Haroon came to the UK in May 2014 and conducted a book reading at Rumi’s Cave. As much as I wanted to attend that event and meet Sidi Haroon, I was unable to go because of work (it was quite an intense period at work and I could not make it to the event in time). Six months down the line, not only did I get to meet Sidi Haroon, but I also was fortunate to be able to spend a couple of hours with him, talking and discussing his book, and simply listening to the many wonderful stories he had to share. It’s amazing how work was the reason I could not attend his event in London, but then, work was also the reason I was out in Dubai and had the meeting with Sidi Haroon. Allah plans beautifully! For those who have not read the book: Signs on the Horizons is a memoir written by Michael Sugich (Sidi Haroon) about his spiritual journey of finding his spiritual guide, meeting and interacting with men who have transcended the ordinary and achieved stations of spirituality and enlightenment. I won’t reveal details about the book, but all I can say is that it is one of those books that you must all own and read at least once in your lifetime because it is full of stories that are inspiring and REAL. The interview below has been checked and approved by Sidi Haroon, and I am publishing this after his consent. If you have a chance of meeting him, please make sure you do! —- Sidra: What inspired you to write the book? Haroon: I started writing these stories down over a period of years because I was afraid I was going to forget the details as the years went by. And I began to write them mainly for my children because, while the older children remember some of these great people (who are mentioned in the book), but the younger ones had no connection with them. That was initially the motivation for writing these stories down– basically just to preserve the memories. Shems Friedlander, a very close friend of mine, was publishing a journal on Sufism and he asked me if I would contribute something, and I had one of these stories to share. The story was on Moulay Abu Qassim as the story had a big impact on me when I was young. I had a story already written, I sent it to Shems, and he included it in his journal. What surprised me was the reaction. People would say: “You really met these people?” “These people really exist?” The reaction from people started to make me think that it would be useful for a wider audience, there seems to be a longing for this sort of thing. The response to the book has validated that idea because I have come to learn that many Muslims have become disconnected from these kind of people (those mentioned in the book). They exist, but they have receded. When Sidi Abdul Adheem (Peter) Sanders and I were young, we would be in a room where you might have 50 Awliya (Friends of God)! This is very hard to find anymore. It’s not because they don’t exist, but they’ve withdrawn to a certain extent because people have lost interest in spirituality. Also, I have spent the last 20 years writing for other people, and I felt I wanted to write something that had meaning for me. My daughter was studying in an art school in Paris in 2009. She would go off to school in the mornings and I would spend the whole day writing and loved it because I got to think about these people, it was a wonderful experience, and I would like to do more of it. Sidra: A lot of your book covers personal experiences, in fact all of it is based on your personal interactions with these great people. Many people shy away from writing and sharing these kind of experiences where as you have been very open. How comfortable did you feel about writing and sharing such intimate and personal experiences? Michael: I wrote about things I felt I could write about. I am an old man now (laughs), so something that I might not have written 25 or 30 years ago, because it’s something in the distant past (most of the stories are recounted from when I was so young), there was less to reveal in a spiritual way back then. Sidra: What was the hardest part about writing the book? Haroon: I would not say that writing the book was hard. However, what was difficult was that I had to be careful, true and accurate to the memory and try not to embellish things or make up things for the purpose of impact and literary effect, which can be a temptation. I had to be very careful as this was going to be something before Allah. Once the first draft of the book was done, I spoke to a lot of friends and asked them to share some of their memories to make sure I didn’t get it wrong. What I found out though was that most of my friends have a worse memory than I do! (laughs). I did not get as much detail back from my friends as much as I thought I would. An example of this is as follows. There is a chapter in the book called “All Night Long”, and it’s about a wonderful Naqshbandi Shaykh, Sufi Abdullah (who is based in Birmingham, UK). I wrote the story, and it was about a night of Dhikr we had. It was an amazing night, but what I completely forgot, and my friend Abu Qassim Spiker (who was there that night reminded me, saying, “Don’t you remember Sufi Abdullah was wearing Christmas lights around his neck!” (laughs). If I do another version of the book, I will add that in because it was so bizarre and funny, and it reminds us that people are human. Sufi Abdullah is a great man and I was able to see him recently, he is old and frail now, and it was a poignant and beautiful meeting with him. Also, when we were putting together the book, Shems insisted that each chapter ends with a quote or epigraph. That was the hardest part and took me longer than actually writing the book! Sidra: What was the best part of writing the book? Haroon: The best part was to be able to spend a lot of time thinking about these great people. I loved it. I loved thinking about them. Next to that, the best part has been meeting people who have read the book, who have come to the readings, it’s been a wonderful experience. It has given me a lot of opportunity; there are a lot of wonderful young people out there. People need to understand that my generation dropped out: Peter Sanders, Yusuf Islam, Richard Thompson, Abdul Latif Whiteman, etc, most of us dropped out and left everything we were doing because there was no social context; there were no communities. The communities that existed forty years ago were immigrant communities with dysfunctional families, but now it’s completely changed. Your generation have a lot of young people who are vibrant, intelligent, active, who are Muslims but also living in mainstream society, working and achieving. This wasn’t the case back then so it’s so encouraging to see. As troubled as young people seem to be sometimes, it’s encouraging to me to see how much faith young people have. There is so much publicity about extremists and fanatics, but there are many more young people who have their heads in the right place and are decent and productive. Sidra: Your book has been well received. How does that make you feel? Haroon: It’s great. I said to Shems Friedlander that if one person is moved by the book or the book has meaning for just one person, then that would make the effort worth it. However, it has been thousands of people who have appreciated and taken the book to heart. It’s gratifying, I am truly grateful for that. Sidra: In your opinion, do you think every soul needs to go out in search of a teacher or spiritual master? Haroon: I am not really qualified to answer something like that. I think every soul longs for God and Knowledge and wants to tread this path, and should find someone whom is alive to take the path with. But should every simple human being do it? Maybe, but they don’t. Sidra: What would your advice be to the younger generation who are struggling to find that balance of seeking God and living this worldly life? How do we find that balance? Haroon: Firstly, we tend to romanticise the past thinking the past was so perfect and if we were living in another time, everything would have been different. The fact of the matter is that people have always struggled with this, struggled to find a balance of being in the world and heading into the next world, and being distracted by the world. The first thing our society exalts is the accumulation of wealth and fame. I am not sure that was as intense in earlier times as it is now. Someone nowadays can become famous for no reason. We definitely live on a much higher level than our ancestors lived in terms of greater comfort. But are we closer to God? I don’t know. I doubt it. The most important thing young people have to remember is that: you are going to die. The most insane thing in existence is the denial of death, because its the only thing that is certain. My friend Faarid Gouverneur once said to me “There are three certainties: Now, Death, God”. You are not going to live forever, and you won’t be able to retain things forever. Imam al-Ghazali said: ‘Love whatever you like but you will lose it. Live as long as you like but you will die’. And this is the reality. But in this age people think that it is being morbid. It is not morbid, and it’s real and a relief. Why do you want to keep struggling along as a donkey in this life when there is the next life? If you don’t believe in a next life, then I believe you are in trouble. That’s why we remember God. My advice to young people is to remember God standing, sitting and reclining. Moulay Abdul Salam ibn Mashish said, ‘There is nothing acceptable to Allah except DhikrAllah’. What does this mean? It means that if you are doing Salah and you are not remembering Allah, then your Salah is useless. If you are fasting and not remembering Allah then your fasting is useless. If you are giving Zakat and you are not remembering Allah, then your Zakat is useless. If you are struggling for the sake of Allah and you are not remembering Allah then your struggling is useless. Everything is remembrance and this is what absolutely transforms the soul. So this is what young people need to embrace. Everyone makes the way and path harder than it is. 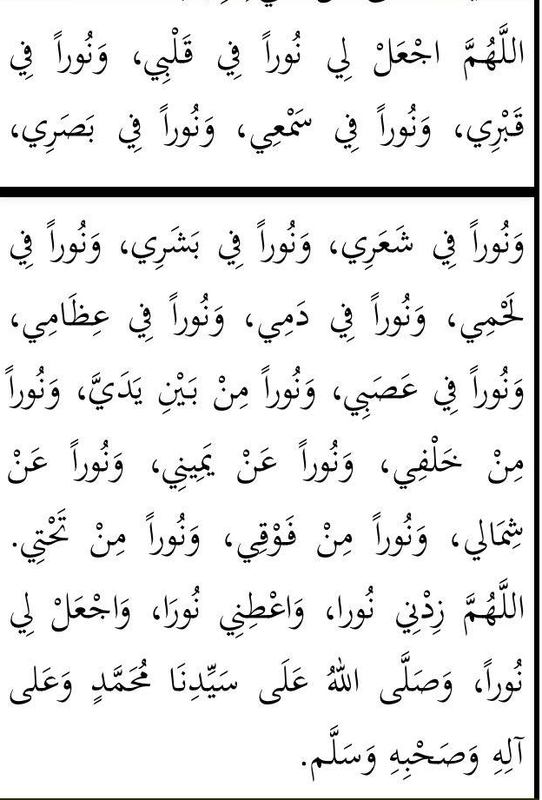 Part of the reason I wrote the book is, if you read the existing text on the Awliya, especially in English, you read someone (I am making this example up) who prayed and fasted all the time for 40 years, which seems like an extreme thing and then has an incredible opening. What you don’t read about is all the hundreds and thousands of men and women who had tremendous spiritual benefits from just being ordinary people and remembering Allah. With regards to young people, what I have seen is a lack of confidence. This is because of the inordinate influence of Salafis who see everything in black and white terms. For example, if you sin, you will go to hell, that is what is taught to the youngsters, but Allah is Ar-Rahman Ar-Raheem. He is the Most Forgiving, and His Mercy precedes His wrath. My teacher Sayyid Abdullah said that if you read the Qur’an carefully, you will see that most people go to heaven. I found that Muslims feel insecure and they feel they are sinners. Of course we are sinners, but the Rasul ﷺ said that if you did not sin, Allah would destroy you and replace you with the people who did sin so they can make tawba (repentance) and ask for forgiveness. That is the transaction: tawba and istighfar, that is what it is all about. What is the sin of a Wali of Allah? Forgetting Allah for a split second. That is what his sin would be in this world. In our world today, remembering Allah for a split second is a great thing! We are in that cycle where we make a mistake, we correct ourselves. We make a mistake and correct ourselves. And so on until we are finally purified. We live in an instant age! We want instant Nirvana, everything has to happen tomorrow. You have these insane weekend groups, enlightenment weekends and after one weekend, you are supposed to have changed! People spend 30,40, 50 years on the path, day in and day out doing the same thing. This is what it is all about, not instant results. Yes, some people who are very pure and have sudden openings when they are very young, however these people are exceptional. My teacher Sayyid Umar used to say “The later the better”. By this he meant that later in your life you have maturity and can handle deep spiritual openings. Sidra: Your book does not cover or mention any female Saints. I am curious whether you met any? Haroon: No, mainly because of conventional Muslim societies. Men do not meet women. 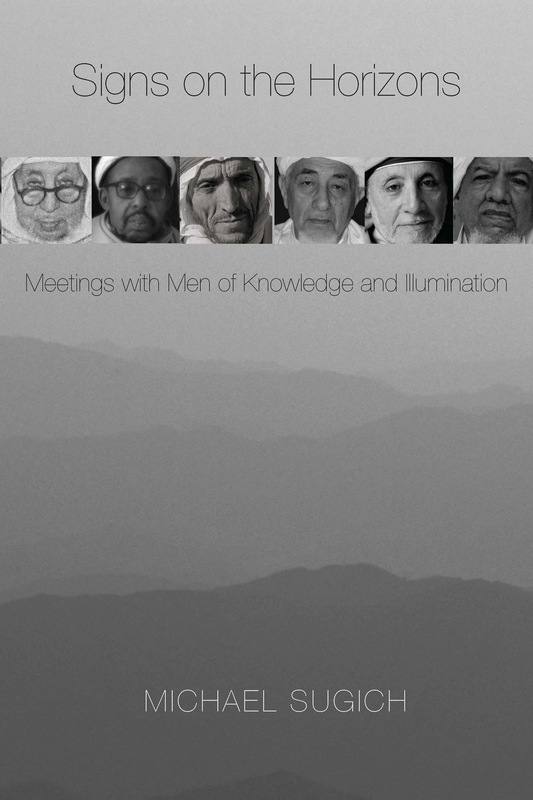 I have met 1-2 women who are Saliheen, but I did not mention them in the book because it would have imbalanced it (i.e more men featured than women). Sidra: As a writer, what would your advice be for aspiring writers? Haroon: Write every day and find a way to do that. Read a lot. If you are writing on Islamic subjects then be humble and refer to people who know more than you. One of the worst things that has happened in modern times is you have a lot of ignorant people writing about Islam and we have to be very careful about that. However, in terms of pure technique, write and re-write. Good writing is re-writing. Basically good writing is part of good thinking. My advice is keep at it. If you don’t have any talent for writing, then don’t do it! Find something else you have a talent for. But if you do have a talent for writing then refine that and get better and better at it, love language. Language is a beautiful thing which separates us from animals. We are able to express ourselves. Therefore it’s a responsibility if you have a gift for writing. One of the reasons I wrote the book is I felt the need to use what small talent I have and do something that has some meaning, rather than just do it. John Steinbeck, when he was young, wrote two huge novels that were never sold. Then he wrote a book called “Tortilla Flat” which was a success. He then wrote “Cannery Row”, which was a huge success, and then he wrote “Grapes of Wrath” which was his masterpiece and while he was writing it he knew that it was going to be a masterpiece. Steinbeck wrote to his friend saying that ‘it was all those millions of words before’. Sidra: When can we expect your next book and what will it be about? Haroon: I am working on 3-5 books at the moment, it’s not a good thing! I’m working on a book on extremism, another on the turning of the heart (tawba), a third is a kind of sequel to Signs on the Horizons. We have a project pending on Morocco. It will take me a while, but something may come. The answer is, I don’t know! —– The book is available to buy from Amazon. You can also follow the Signs on the Horizons Facebook Page. Please keep Sidi Haroon and his family in your prayers! 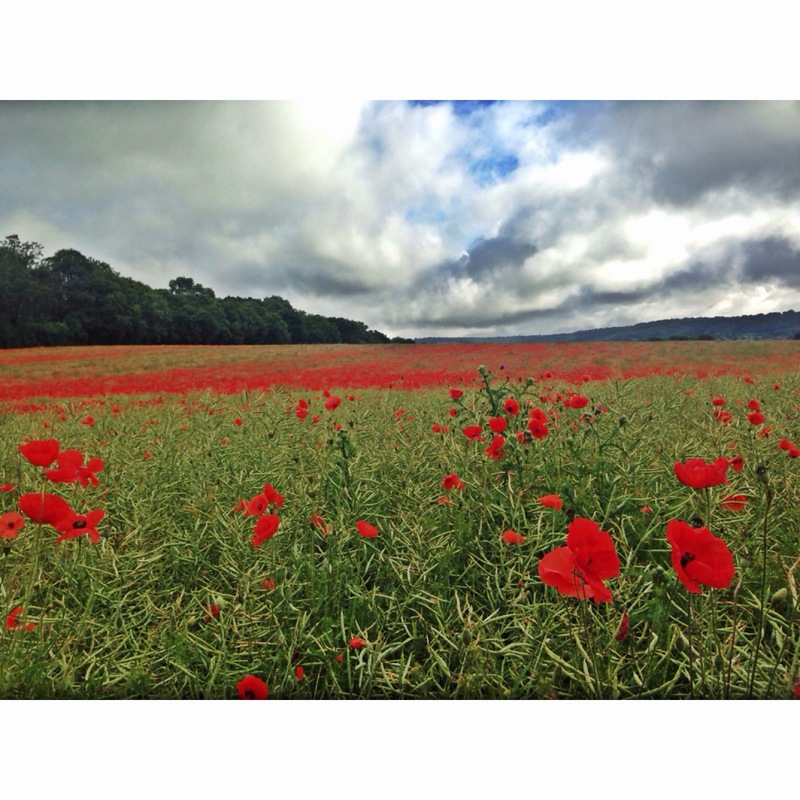 Special thanks to my dear brother and friend “The Conscious Muslim” for his help and support in checking this blog post for me before I published it- please recite a prayer for him too! Thought for Thursday- 23/10/14- Birthday Reflections! “In the end, it’s not the years in your life that count. It’s the life in your years”- Abraham Lincoln. So, let’s use our birthdays to be grateful for the blessing of life; grateful for having loving parents who brought us into this world; grateful for health and Iman (faith); grateful for wonderful friends and companions; grateful for peace; grateful for hardships and blessings; grateful for………the list is endless! 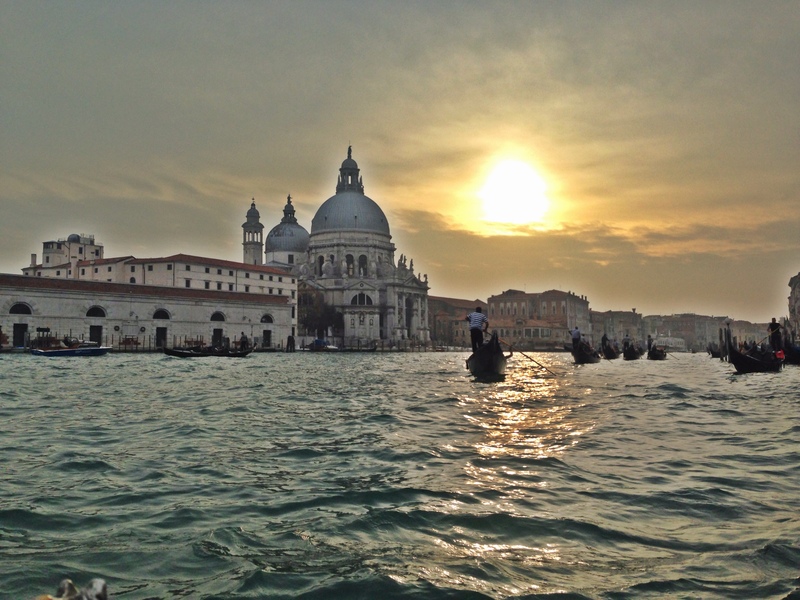 Sunset in Venice during my recent trip. Photo taken on the iPhone.